On this, the hundredth anniversary of the first meeting of Dáil Éireann, we can remember with pride the hand that the people of Tipperary had in the creation of the Ireland of today. It is my very great privilege to serve the people of Tipperary in Dáil Éireann today, one hundred years on. During the 1918 General Election campaign, Sinn Féin stood candidates on the basis of an abstentionist policy. 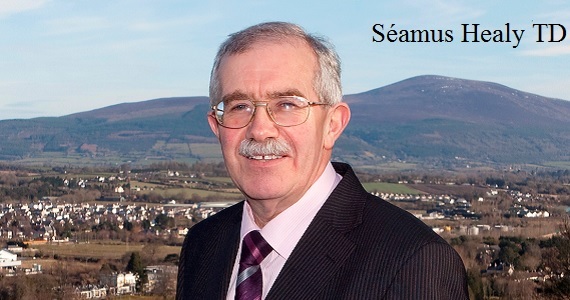 If elected, the Sinn Féin representatives would abstain from the Westminster parliament. All four candidates returned for the Tipperary constituency in 1918 were Sinn Féin abstentionists and so duly abstained from Westminster and instead gave their allegiance to the first meeting of a thirty-two county Dáil Éireann (The Convention for Ireland) in the Mansion House in Dublin. The people of Tipperary had given the strongest possible mandate against Home Rule: Independence or nothing! The First Tipperary Teachtaí Dála were an impressive lot. Pierce McCan representing Tipperary East; Joseph McDonagh representing North Tipperary; PJ Moloney representing South Tipperary and Seamus Burke representing Mid-Tipperary. In neighbouring County Waterford, Cathal Brugha, now immortalised in song and story, enjoyed a very impressive victory there over the Redmondite candidate. McCan could not attend the First Dáil as was “faoi ghlas ag Gallaibh” imprisoned in England, where he died later that year of influenza. It is a testament to the greatness of Pierce McCan and to his importance in national affairs that, Cathal Brugha, our First Ceann Comhairle and Pro-Tem President, Chief of Staff of the IRA, gave the oration at his funeral. Joseph McDonagh was of course, the brother of Thomas McDonagh, the executed 1916 revolutionary and leader, teacher and poet. Seamus Burke from Borrisoleigh was unable to attend as he was hard at work raising funds for the underground Irish Republic in the United States. And PJ Moloney of Tipperary Town, founder of the now legendary 3rd Tipperary Brigade, who had been imprisoned after 1916 was elected by a three to one majority over the Home Rule candidate. The people of Tipperary were proud to have the opportunity to elect these men of word and deed; men of action. The role of women during this period in Irish history is often hidden but nonetheless crucial. Members of Cumann na mBan such as Mary O’Dwyer of Coleraine, Co. Tipperary, who was Captain of E Company, 7th Battalion, 3rd Tipperary Brigade and others like her who gave much needed shelter and support throughout the War of Independence, at great personal cost. It is noteworthy that all successful candidates of the island of Ireland in the 1918 General Election were invited to the First Dáil and that this Dáil was not a twenty-six county Dáil as we have today but rather it had representatives from Derry City, Tyrone North West and Fermanagh South. These were later joined in the Second Dáil of 1921 by three more representing Armagh, Down and Tyrone. What a great pity it is that a hundred years on, our island still remains divided with those in the six counties effectively without any representation at all, being ruled by a parliament in London. Whether by fate or by design, the meeting of the First Dáil also shares its anniversary with the opening salvo in the War of Independence; the Sologheadbeg Ambush. The action taken at Sologheadbeg mapped out the only way an oppressed and impoverished people could defeat the largest Empire the world has ever seen. And the military conflict during the War of Independence can be seen as a part of a much broader mass movement at that time against the rule of British landlords, capitalists and the wealthiest of the Irish establishment whose riches the British rule of law in Ireland guaranteed. Let us not forget that the British attempt to bring in conscription in 1917 was met by mass opposition including a general strike. That anti-conscription movement was co-ordinated at a conference held in the Mansion House at which large swathes of Irish society were represented. When the British were forced to withdraw the threat of conscription, it gave Irish people a sense of their own power and the movement gained momentum. In the same year as the Sologheadbeg Ambush, our neighbours in Limerick City, headed by the Limerick Trades Council in revolt against British restrictions, seized control of that City and set up the Limerick Soviet, even going so far as to print their own money. Similar small-scale soviets took place in creameries all around Munster including my home town of Clonmel in the years immediately following. During the War of Independence, there were also waves of farm labourer strikes and land seizures by poor farmers, the importance of which in forcing the British to capitulate and offer a truce, should not be underestimated. The action at Sologheadbeg marked a turning point in the history of our country but also in the history of the world. Irish rebels inspired by the action at Sologheadbeg went on to demonstrate to all of the oppressed peoples of the world how one of the greatest empires on earth could be driven back, undermined and ultimately removed by the will of the people. Here at Sologheadbeg, the War for Irish Independence began. Here also the War of Independence for oppressed peoples the world over began. Young men and women of Tipperary led the fight, young men and women who were unapologetic and unafraid to take action against their oppressor, in this case, the British Empire. It is my great privilege to serve the people of Tipperary as their representative in Dáil Éireann today. I look back on the action here at Sologheadbeg with the greatest of pride but also knowing that there is much work left to be done if we are to finish what was started here a century ago. The name of the oppressor may have changed but there is still a need for those courageous men and women of Tipperary to continue what was started here in Sologheadbeg a century ago and to build a 32 county Irish republic where all of the children of the nation are cherished equally.